A favourite route with walkers that used to be frequented by pedlars and whiskey smugglers. 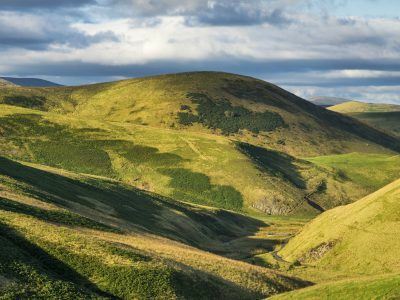 Our Alwinton and the River Alwin route is a favourite route with walkers, starting in Alwinton, that used to be one of many trackways in the border hills frequented in times past by cattle drovers, shepherds, pedlars and whiskey smugglers. 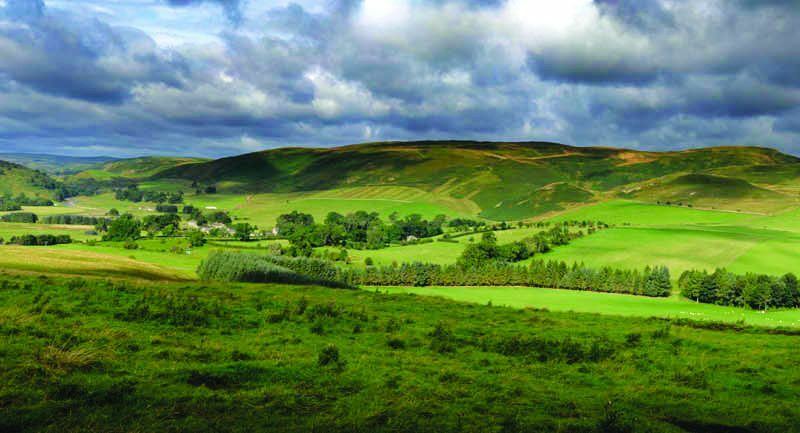 Download our Alwinton and River Alwin Walk guide. From the car park turn left along the road back into the village. At the T-junction cross the village green and footbridge then turn left onto a tarmac road signed Clennell Street/Border Ridge. From here, follow the road until the tarmac ends then take the track to the right, and continue on uphill. Ignore the gate and stile to the right, and keep on up the farm road. Cross over the ladder stile and follow the track keeping to the right of Castle Hills. Carry on up-hill to join the grassy track. As the main track winds round to the left near the top of the hill, take right at the junction to a wicket gate approximately 50m away. Go through the wicket gate and bear left across the field towards another gate. Pass through the wicket gate and follow the well worn path to the right as it winds along the hillside, continue on along this path, passing a sheepfold down to your right. At a junction of quad tracks head downhill to the forest corner. On reaching the bottom of the hill go through the field gate onto the forest track and turn right. Continue along this track for 1.4miles, crossing the River Alwin three times, until you reach a crossroads. At the crossroads, follow the track round to the right passing through the field gate, keeping the dry stone wall to your left. Cross over the cattle grid and turn right at fingerpost signed Alwinton. Cross the footbridge and turn left up the path. Go over a step stile, then continue straight ahead walking along the headland to stile at the opposite side of the field. Cross the stile and carry on along the edge of the field keeping the fence to your left. Go over a ladder stile and turn left onto the farm track. Head back downhill to the car park. Leave the B6341 at the small hamlet of Swindon, signed Alwinton to the left. 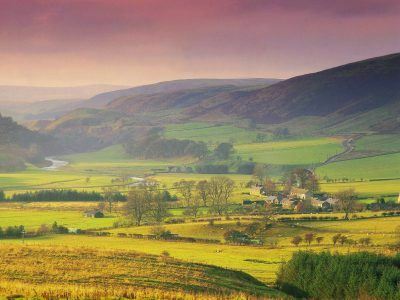 Follow the road through Harbottle and continue to Alwinton, the last hamlet in Upper Coquetdale. Park in the National Park car park at Alwinton, which is through the village on your right. Leave the B6341 at the small hamlet of Flotterton, signed Alwinton to the right. 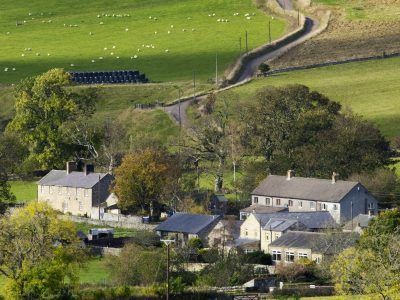 Follow the road through Harbottle and continue to Alwinton, the last hamlet in Upper Coquetdale. Park in the National Park car park at Alwinton, which is through the village on your right. A moderately challenging ride into the Cheviot Hills.